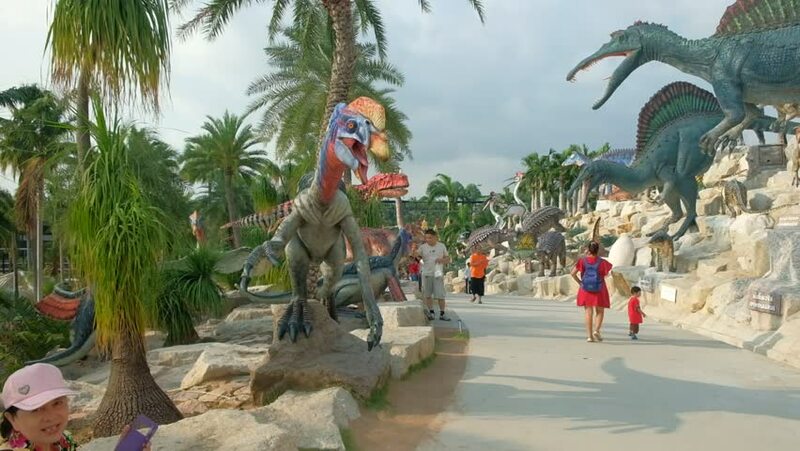 Pattaya,Chonburi,Thailand-April 4,2018:Nong Nooch Tropical Botanical Garden with new exhibition “Dinosaur Valley” to welcome tourists.Roaring dinosour. hd00:19LUANG PRABANG, LAOS - CIRCA August 10: Tourists visit Royal Palace of Luang prabang (National Museum), on circa August 10, 2014, Luang Prabang, Laos. Luang Prabang is a UNESCO World Heritage Site. 4k00:08Konak, Izmir / Turkey - December, 2018: Children running after birds in Konak Square.